Someone suggested that I try the octopus salad at Mona Lisa Italian Foods. I'm a game sort of individual, so I made the trek to Little Italy with pulpo on my mind. Mona Lisa is two business under one roof. One half is a full service restaurant that serves up hearty, recognizable, Italian-American fare like spaghetti and meatballs or chicken Parmesan. The other half, the deli, was of greater interest. Not just a deli counter and sandwich station, the inside is packed with imported goods, including wine and spirits. 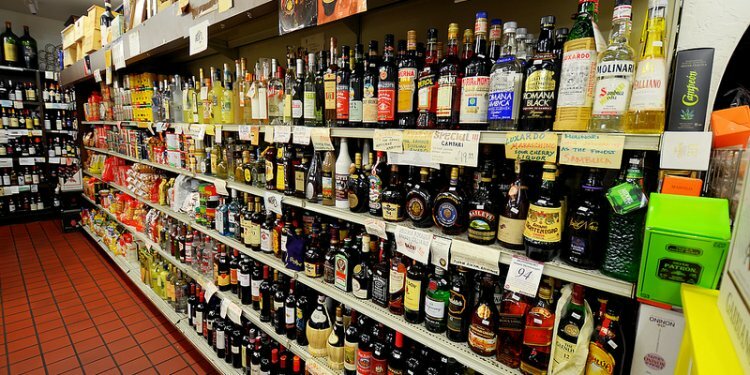 I was pleased to find a healthy selection of alcohol all collected in one place. There were many bottles of Italian digestive cordials like Campari and other, more hard to come by amari. I'm very into the idea of digestives after eating right now and I've been thinking of stocking up on such liquors, so now I know where to get them. I espied a good collection of vermouth as well. Good vermouth (Martini and Rossi is not good vermouth) is the best way to assure a great Martini. Provided, of course, that it's not mixed into bathtub gin. Try Cinzano extra dry and Tanqueray sometime for proof of this. Regular Cinzano bianco, still a sweet vermouth, makes for an interesting Martini as well . Both varieties, alongside others, are available at Mona Lisa. The busy lunch counter made use of Boar's Head meats, which are OK, to prepare a variety of sandwiches. Prepared foods, cheeses, and olives took up the rest of the space; including the prophesied octopus salad. Everything has to be taken "to go, " but there are a few patio tables outside for sitting and eating. The sandwiches, served in one size, cost about $7, give or take a little bit. Everything came with lettuce, tomato, onion, dressing, mustard, mayonnaise, salt, and pepper, so the only difference was the choice of meat. There was a good variety of salami and other, Italian-style cold cuts as well as turkey, ham, roast beef, and chicken. On special, "porchetta" was sliced, roasted, seasoned pork loin that strongly resembled the "lomo" that's ubiquitous in torta shops. The bread was good by virtue of being fresh, but it was the kind of bread that would taste terrible if allowed to stale. Because of this, ordering a sandwich from Mona Lisa and storing it in the refrigerator would be a universally bad idea. Fact: bread stales almost instantly in the high-humidity, low-temperature environment of a refrigerator. Plus, it picks up strange odors more easily than any other food. Friends don't let friends refrigerate bread! I wouldn't call the sandwich exemplary, but it had a nice slathering of dressings that was messy but satisfactory and the chewy bread was fun to sink the teeth into. Following advice from strangers, I tried to octopus salad. It was about $3 for a small container. Vigorously seasoned and dressed with oil and vinegar, the octopus pieces outnumbered the celery and onions by a wide margin. The acidic tang of the vinegar gave the salad qualities of ceviche, but the taste was richer and more complex. Calamari salad, prepared in the same fashion, was a bitter disappointment. Less chewy than the octopus, the squid had achieved a lackluster texture that yielded in all the wrong ways. The flavors weren't as complimentary, either, so I advise sticking with the octopus in any instance. The secret delight of the day? "Galeffi." It's an Italian product that's a kind of un-medicated Alka Seltzer. Added to water, it provides effervescence, sweetness, and alkalinity that's alleged to act as a digestive and settle the stomach whenever the need arises.